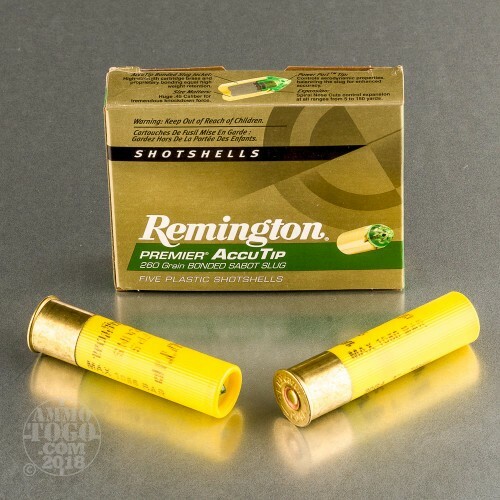 Although best known for its long line of legendary firearms, Remington has also been manufacturing quality ammunition for over two centuries. Using only the finest components and cutting-edge innovation, Remington continues to provide the modern shooter with high-performance ammo they can trust for any shooting application. 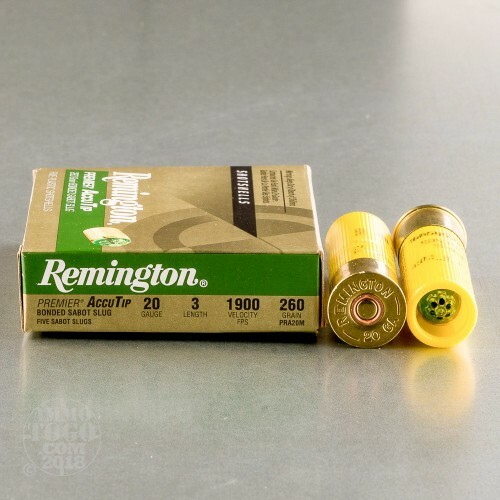 This package contains 5 rounds of Remington Premier Accutip 20 gauge ammunition. 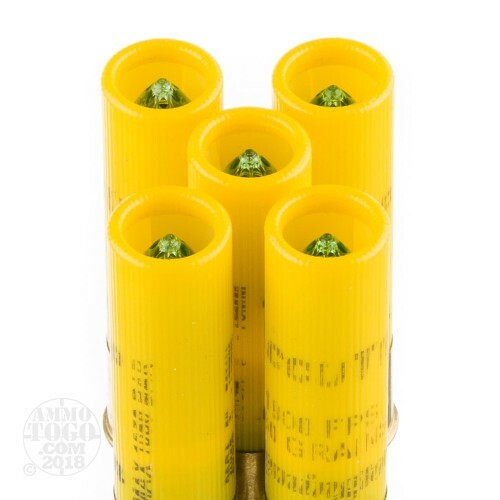 Each 3 inch shotgun shell is loaded with a 260 grain bonded sabot slug. Guided by Remington’s new Power Port Tip, these bonded sabot slugs deliver accuracy and terminal performance that stands alone in the field. This is the largest tipped slug on the market, and it produces a massive wound channel guaranteed to stop deer in their tracks. 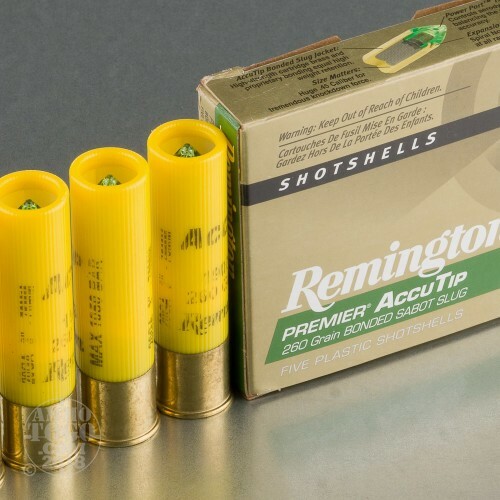 With proprietary spiral nose cuts, bonded construction, and high-strength cartridge brass jacket, the Remington Premier Accutip bonded sabot slug delivers near-perfect mushrooming and over 95 percent weight retention. Leaving the muzzle at a blistering 1900 feet per second, these hard-hitting slugs produce 2084 foot pounds of deer-dropping energy. 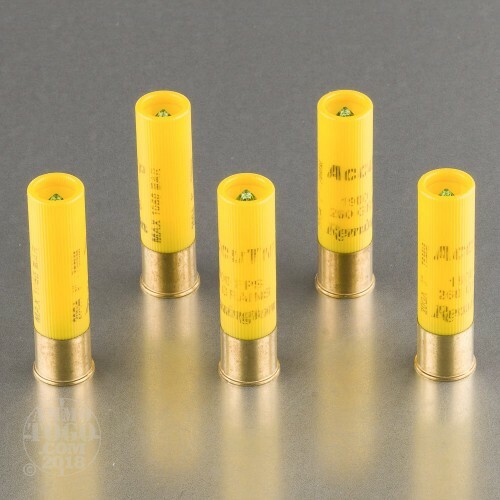 Use these bonded sabot slugs in any 20 gauge with a fully rifled barrel.